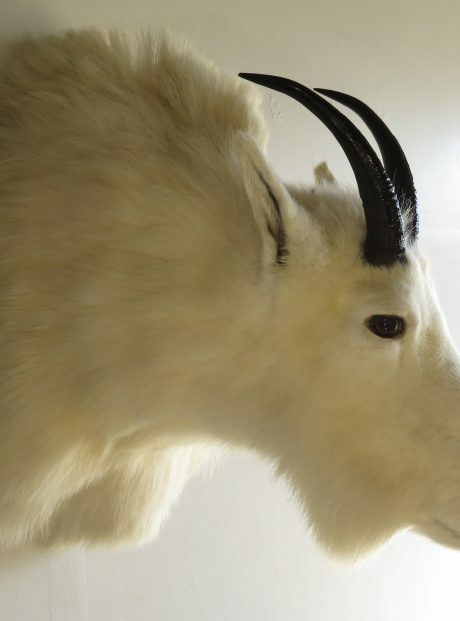 Here we have a beautiful Pope and Young scored Mountain Goat! 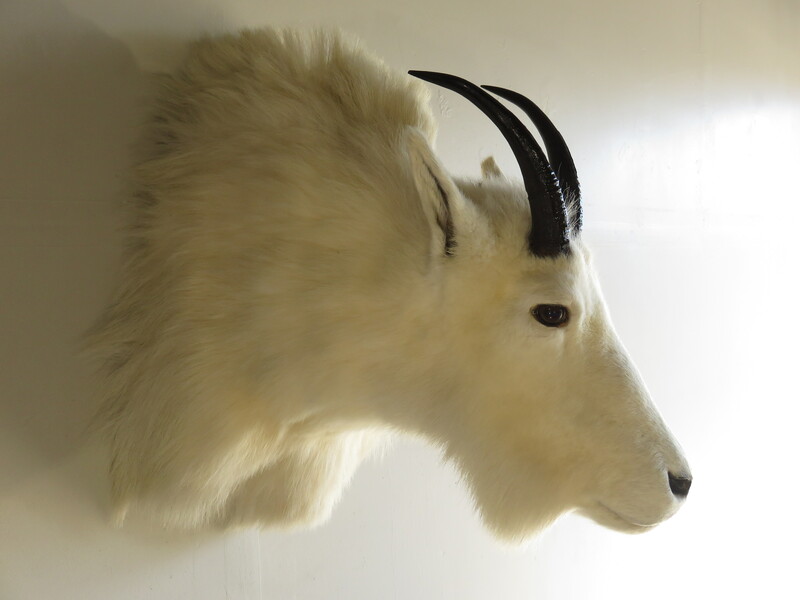 This billy came in with a score of 42 0/8″ exceeding the minimum score of 40″ to qualify for this trophy designation. 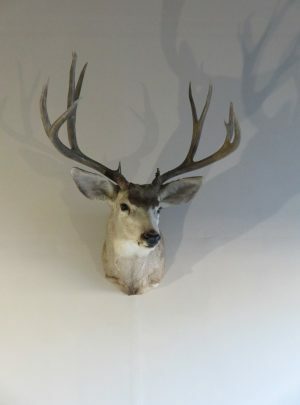 He is in the sneak pose and is looking to his left into the room. 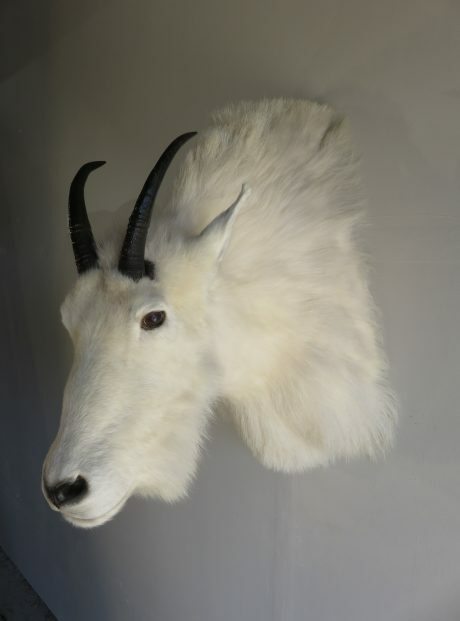 He has great hair length and wonderful white coloring (see attached photos). 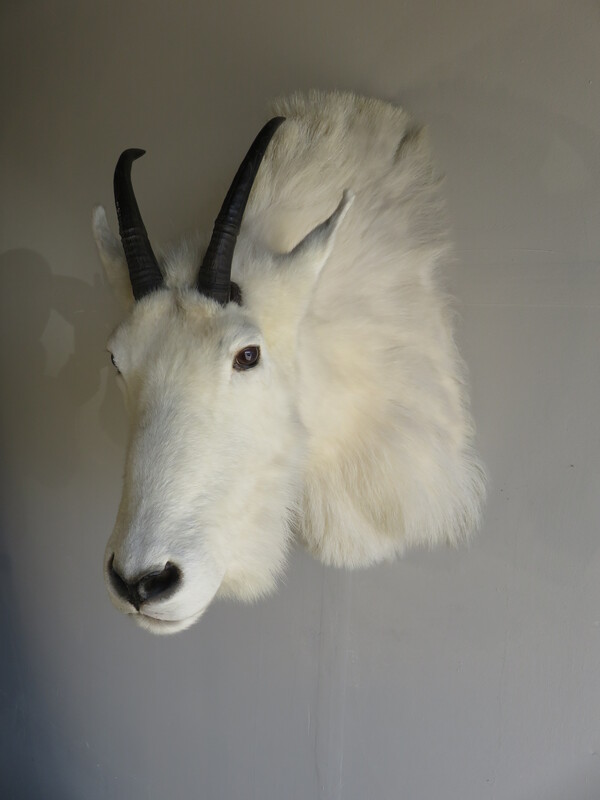 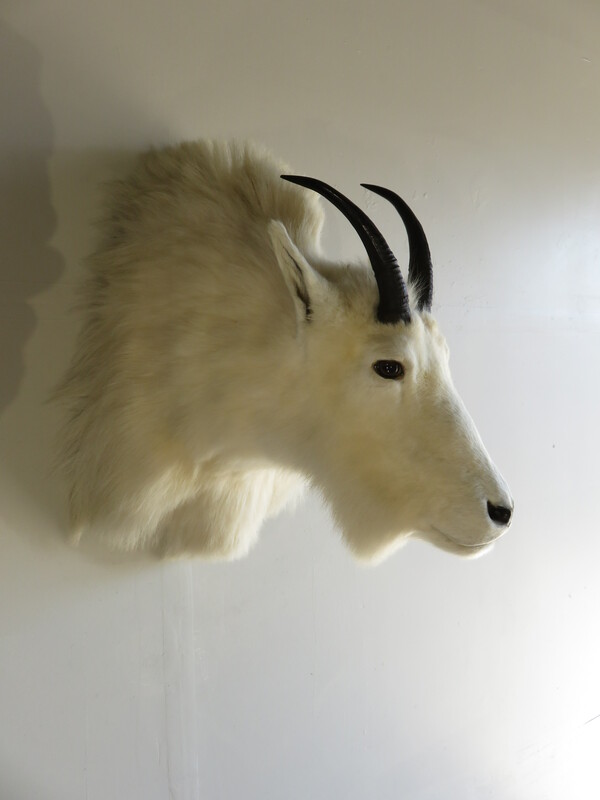 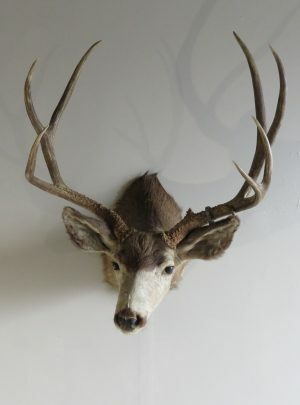 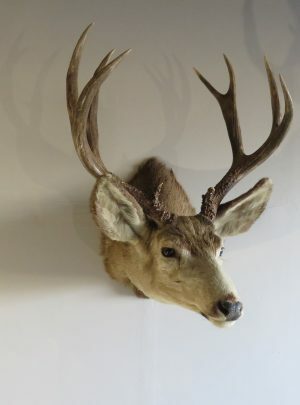 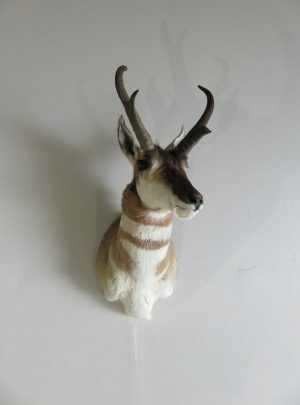 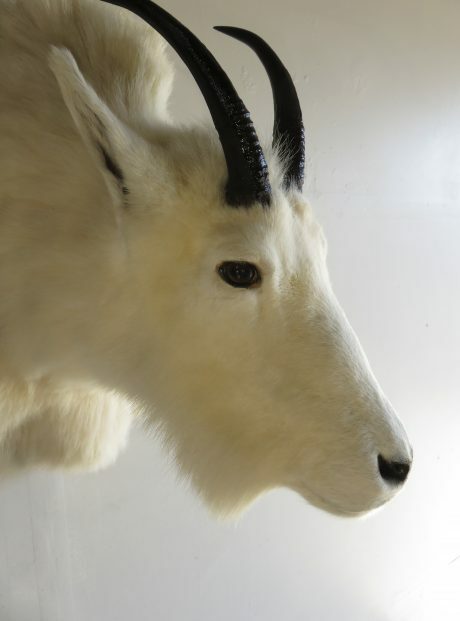 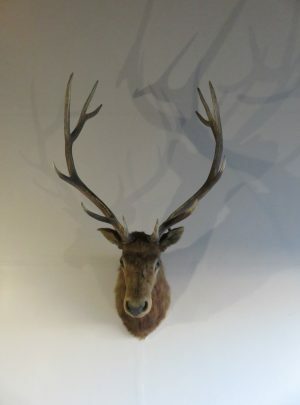 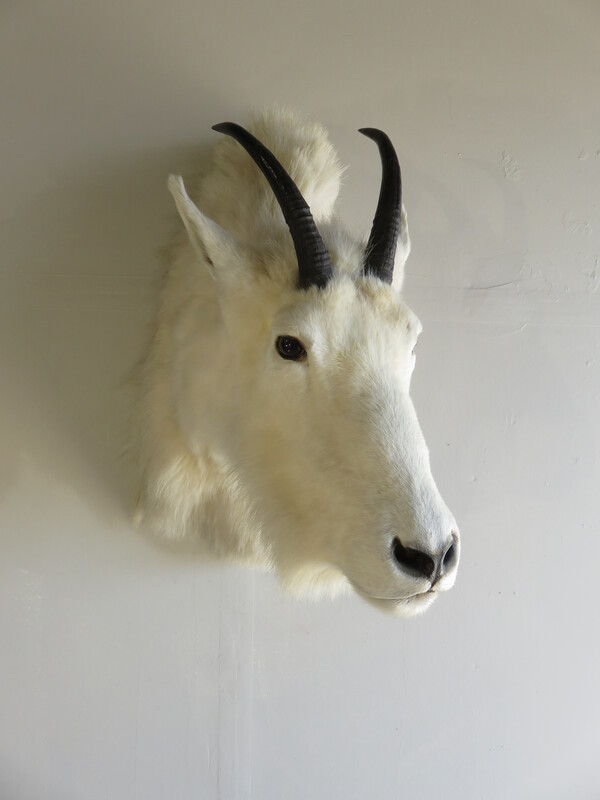 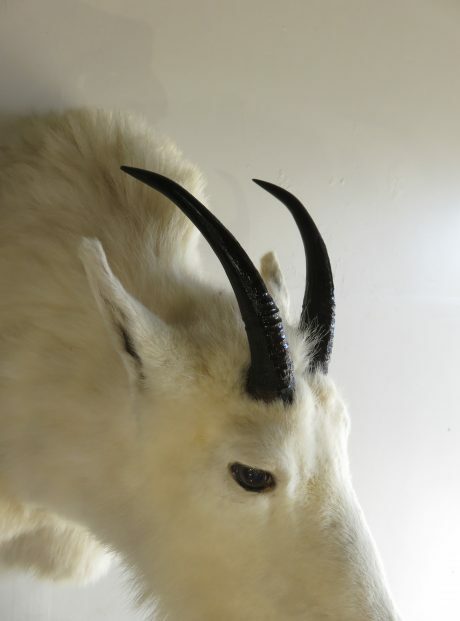 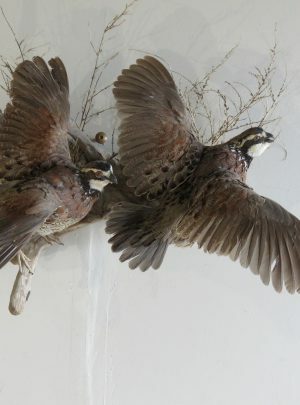 This mount would make a great stand alone mount for the home or office or could compliment any collection of North American big game animals. 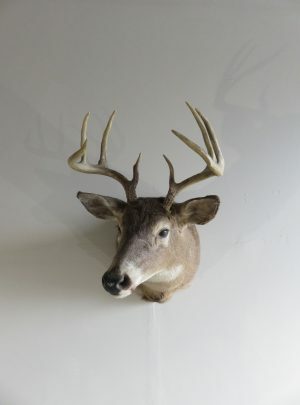 This trophy could be the center piece of a great collection! 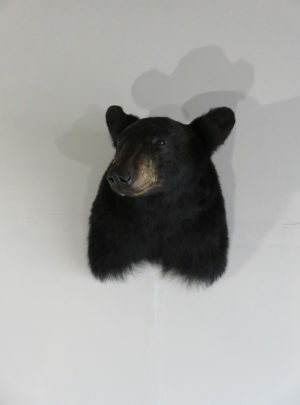 Total mount dimensions are 23″ deep x 29″ high x 16″ width. 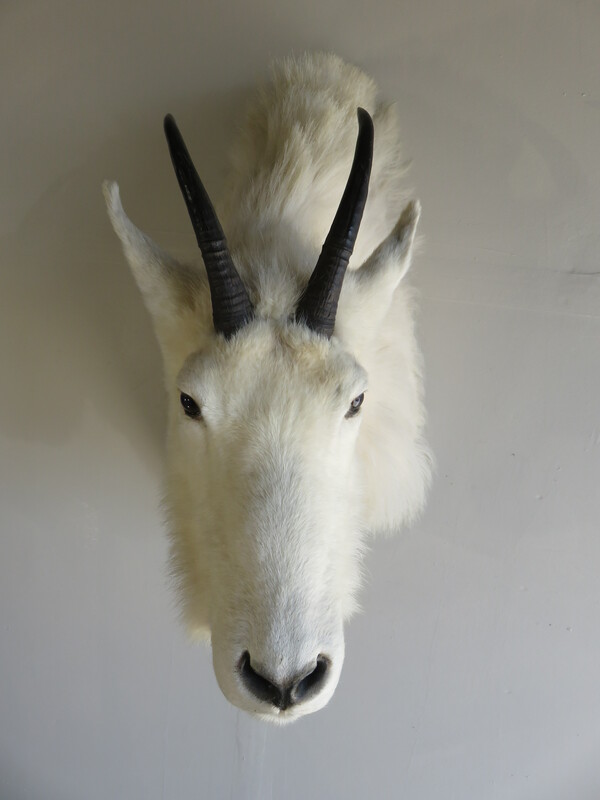 Horns measure 6 1/8″ wide from tip to tip.